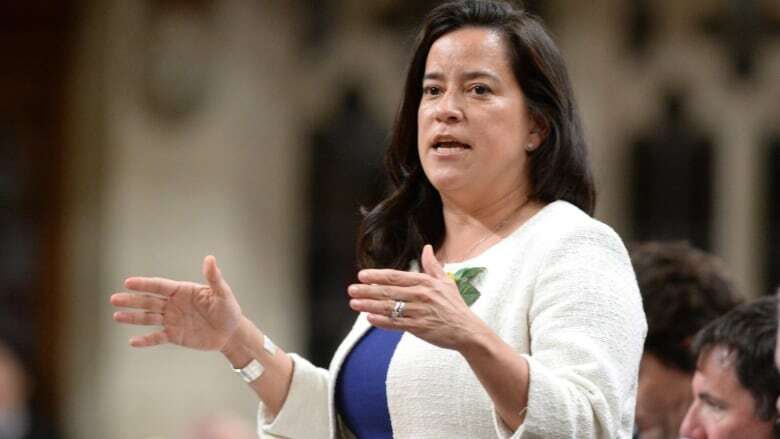 Justice Minister Jody Wilson-Raybould said she is undertaking a “quick process” to appoint much-needed judges while her department completes a comprehensive review of the appointment process. Justice Minister Jody Wilson-Raybould said she is crafting a "quick process" to appoint much-needed judges while her department completes a comprehensive review of the appointment process. The minister made the comments during question period in the House of Commons today when pressed by Tory MP Michael Cooper over why no judges have been appointed since Wilson-Raybould joined the federal cabinet. "The minister has found plenty of time to attend pay to play fundraisers but hasn't found the time to appoint a single judge," Cooper said. "This at a time when our courts face an unprecedented backlog and all the minister can say is she'll get around to it. "When will the minister stop fundraising and start appointing desperately needed judges," Cooper asked. Wilson-Raybould said she recognized the importance of making appointments based on merit and diversity and her department was crafting a comprehensive process that would rewrite the way judges are appointed. "Having said that, I do recognize that there are a number of positions that need to be filled in the very immediate future and we are undertaking a quick process in order to be able to do that," she said. The exchange came a day after CBC News reported that chief justices were growing concerned with the current shortage of judges and the backlog of cases it was creating. The minister provided no timelines Tuesday on when the first judges would be appointed. Neil Wittmann, chief justice of the Alberta Court of Queen's Bench, has previously said the nine vacancies in his court have led to a number of criminal cases being thrown out. "We had one in Red Deer about two weeks ago where a pretty serious fraud charge was stayed due to court delays and there are other motions pending," Wittmann told CBC News. "Sooner or later there's going to be a serious delay in a serious offence, by that I mean a violent crime." There are currently at least 46 vacancies for federally-appointed superior court judges. "I simply don't understand what's taking the Liberals so long to start making some of those judicial appointments," NDP Leader Tom Mulcair told the CBC. "We've got huge criminal backlogs that are going to result in a lot of people being let off. Cases are being held up for years. And it's a really serious problem in our country."